QuadrigaCX is Canada’s most trusted and secure online cryptocurrency exchange. The exchange is also the fastest growing and most liquid exchange in Canada, and one of the fastest growing exchanges in the world. QuadrigaCX is a very well-established exchange as it was founded back in 2009 and survived all the ups and downs of the cryptocurrency ecosystem in its infancy. The exchange is based out of Vancouver, British Columbia, Canada and primarily services traders from Canada and the United States. QuadrigaCX is not yet regulated as regulation in the cryptocurrency space is somewhat unheard of still. However, the exchange is still highly secure and transparent with their services. Every user depositing or withdrawing fiat currency must be thoroughly verified and the exchange follows all the KYC and anti-money laundering laws. QuadrigaCX is probably the best cryptocurrency exchange for Canadians as they offer the most account funding and withdraw options in Canada and offer very favorable or no fees at all for deposits and withdrawals. While QuadrigaCX may seem like an excellent cryptocurrency exchange to deal with, are they really? In the following review we delve deep into the aspects that make up this cryptocurrency exchange and see what sets QuadrigaCX apart from the competition and whether or not they can be trusted. QuadrigaCX has a very simple and intuitive trading platform interface which is primarily geared towards beginner to intermediate traders. The platform is entirely web-based and is compatible and optimized for all mobile smart devices. The platform features two interfaces for buying and selling cryptocurrencies, one for beginners, providing simple buy and sell orders, and one for more advanced traders, providing limit orders. Traders can view various market information about the cryptocurrency asset their trading. For instance, traders can view a market overview page which shows a simple chart showing the price trend over the past 60 days, current buy and sell orders, and the most recent trades. This page can be a good place to analyze the market sentiment but lacks any real analyzation tools to use. Overall, the QuadrigaCX platform is very simple and should be used for placing orders rather than market analysis. Order placement is very fast as QuadrigaCX has ultra-low latency and high liquidity, but chart and market analysis are very limited. QuadrigaCX is a specialized cryptocurrency exchange whose primary functionality is to provide Canadians fiat to cryptocurrency access to some of the most popular and liquid cryptocurrencies on the market. The cryptocurrencies QuadrigaCX offers traders include Bitcoin (BTC), Bitcoin Cash (BCH), Bitcoin Gold (BTG), Ethereum (ETH), and Litecoin (LTC). All of these cryptocurrencies can be exchange for Canadian Dollars (CAD) as well as Bitcoin (BTC). Also, Bitcoin can be exchanged for US Dollars (USD), but this is the only USD trading pair. All of the cryptocurrencies offered on QuadrigaCX are highly liquid, with Bitcoin and Ethereum being the most liquid. The trading fees imposed on traders are rather high compared with the industry standards. However, the fees are only placed on successful trades and are 0.5% of the total currency being traded. This fee applies to all trades except for the BTC/ETH trading pair, where those fees are 0.2%. Industry standard trading fees are around 0.2%, so QuadrigaCX’s trading fees are higher. However, this is justified via the deposit and withdrawal fees. Cryptocurrency deposits and withdrawals are absolutely free. This is very uncommon among cryptocurrency exchanges and justifies the higher trading fee. Also, QuadrigaCX has very low and competitive deposit and withdrawal fees for CAD and USD. For instance, fiat currency deposit fees are only 1% via Bank Wire Transfer, free via Crypto Capital, 1.5% via INTERAC Online. As for withdrawals of fiat currency, they are absolutely free via Crypto Capital, Bank Wire Transfer, and Direct Bank Transfer. Other withdrawal methods can incur fees of up to 3%. QuadrigaCX is a very safe and secure online cryptocurrency exchange as they were established back in 2009 and have yet to be hacked or lose any user funds. QuadrigaCX has withstood the test of time, making it one of the most secure cryptocurrency exchanges to date. QuadrigaCX keeps users funds safe by employing a variety of security measures and practices. See them below. The customer support available to traders is rather limited with QuadrigaCX. The only support option via a representative is through an online support ticket system. This ticket system is rather slow and cumbersome as responses may take days or even weeks during busy times. There is no published email or telephone number on their website, so the support ticket system is the only option. Besides support via support representatives, QuadrigaCX does have a very comprehensive support centre with loads of helpful and informative information. QuadrigaCX is Canada’s leading online cryptocurrency exchange as they provide a variety of low cost payment gateways for buying and selling the most popular and highly liquid cryptocurrencies. 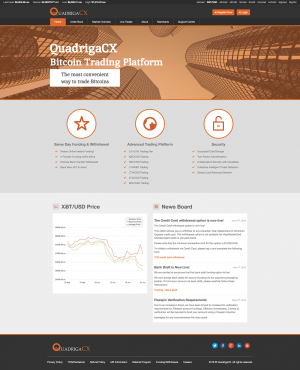 The trading platform offered by QuadrigaCX is very simple yet high performing and provides high liquidity trading. Also, the exchange is very secure and trusted as they have been in business since the beginning in 2009. QuadrigaCX primarily services Canadian traders but accepts USD and traders from the United States. All in all, QuadrigaCX is an excellent cryptocurrency exchange for acquiring Bitcoin and other leading cryptos with CAD and USD. The following are the common questions that customers inquired about QuadrigaCX. No, QuadrigaCX is one of the most trusted and secure cryptocurrency exchanges. QuadrigaCX is based out of Vacouver, British Columbia, Canada. Quadriga CX is a great choice for Canadian traders who deal in the alt currency world. Quadriga does charge more than the average broker does for access to the crypto market. QuadricaCX boasts an easy to use and simple interface for traders to access the market.  They have very low fees compared to competitors. QuadrigaCx does have some high fees, but they offer more than than average broker as well.